This entry was posted on October 20, 2010 by Russell Smith. 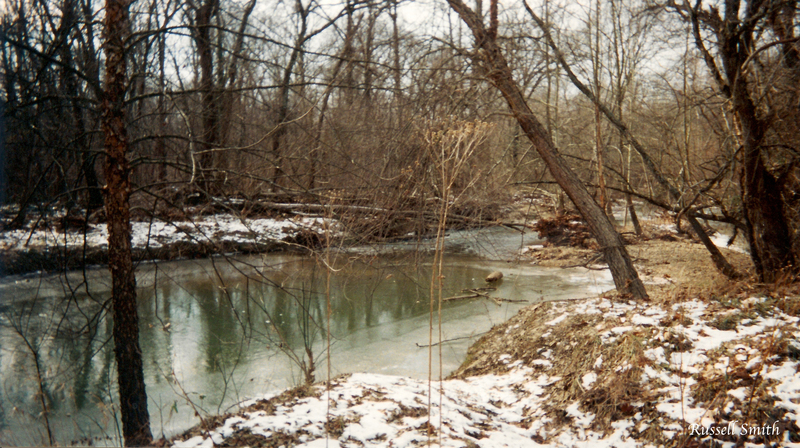 It was filed under Nature, Rural and was tagged with bare trees, dusting, ice, Piscataway River, snow, sticks. This is so great – it looks like a museum diorama of the olden days. It was peaceful. One of my favorite places to go to sit on a log an watch the leaves go by.